During the past decade, Professor Cheng has been conducting research in the fields of health policy and health economics. He conducts research by applying micro- economic theories and techniques to health policy analysis. 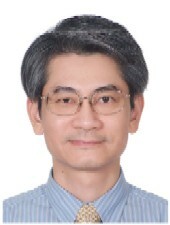 In the past few years, Prof. Cheng has finished several research projects assessing the influences of Taiwan's National Health Insurance new strategies such as global budget programs and pay-for-performance programs. His research also focuses on the role of quality information in healthcare market and the measurement and its implication of healthcare quality from patient perspectives. Some of the research findings have been published in several international journals. - 9th Ching-Hsing Medical Award, from Ching-Hsing Medical Foundation, Taiwan, 1999.